Matrix Rose began his breeding career as a 2 1/2 year old. His first year produced several very amazing little brown and white crias. 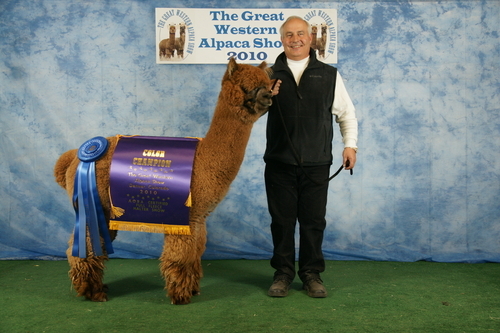 MR Sizlin Rose was a 12 time Color Champion in 2012, which included 2012 Brown Futurity Champion and AOBA National Show Brown Color Champion. 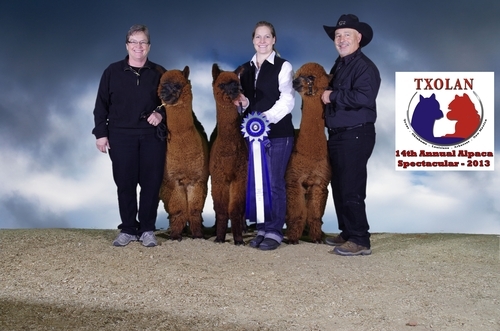 There were many other blue and red ribbon winners in the first cria group. 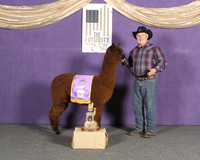 In the 2013 TXOLAN Matrix Rose had 9 of his cria in the male and female color championships. 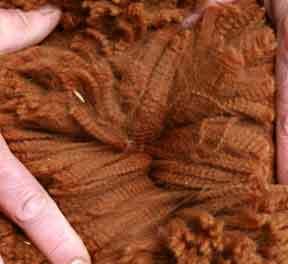 Matrix Rose also won 1st place Get of Sire, with some excellent competition. Matrix Rose is a mellow and easy going male, a trait he passes on to his cria's. 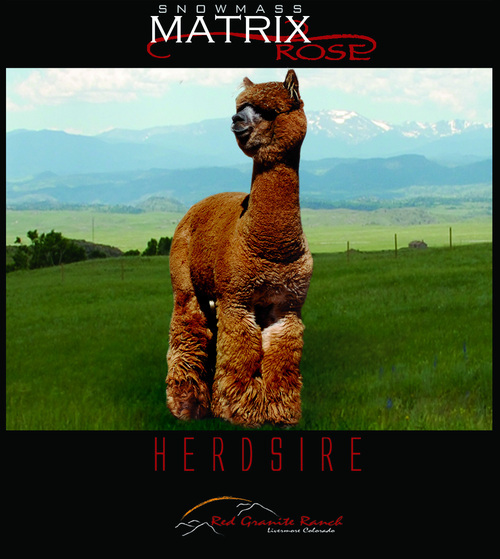 Snowmass Matrix Rose is also the Grandson to Red Granite's Val D Lsere the 3x National Supreme Dark Male Champion!